There are many elements that come together making seaside weddings a dream-like experience. Endless blue ocean stretching as far as the eye can see, white sand beaches, and warm sunlight embracing the newlyweds and guests alike. 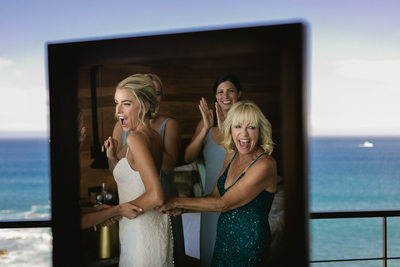 L+B chose to have their wedding at the Cape Hotel in Cabo San Lucas as it offers all that and more. Since its opening in 2015, The Cape Hotel has been among the best wedding venues in Cabo, Mexico, and it's easy to see why. It is located where the Pacific Ocean meets the Gulf of California, and offers a remarkable view of the world-famous El Arco. What a backdrop for a wedding celebration! 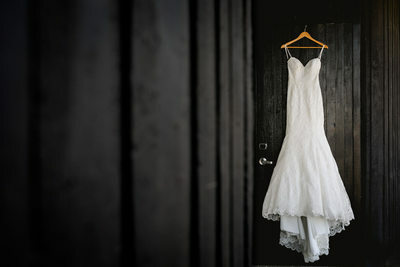 In addition to the beautiful ceremony vista, the boutique hotel has a unique contemporary design for brides and grooms who want a modern vibe to their destination wedding. Ocean-view rooms, outstanding architecture that seamlessly transforms between interior and exterior allowing an open-air ceremony, and a variety of spaces to compliment the wedding and provide stunning backdrops for photos. Glimpse, the large rooftop event space at the Cape Hotel, has more than enough room for guests to dance and celebrate, and was the perfect location for the culmination of L+B's day - a grand fireworks display! Did we mention the stunning Monuments beach? Of course this also means The Cape, A Thompson Hotel, is an amazing place for creating unique and dramatic wedding photos! 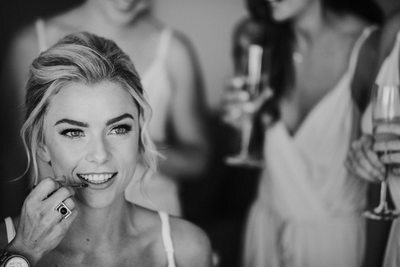 As destination wedding photographers, we loved documenting the events, beauty, and emotion of L+B's day here. 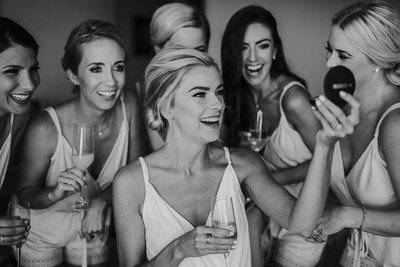 From the anticipation of getting ready to the ceremony to the bride and groom portraits to the rooftop celebration, we have many favorite images from this wedding. Not hard when you have such a gorgeous and obviously-in-love couple! And what great style! 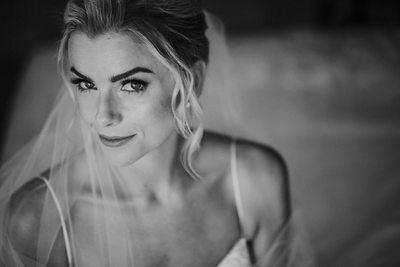 The bride was wearing a sweetheart gown and chose an ethereal hairstyle allowing loose curls to frame her face. The groom embodied casual confidence with his deep blue suit, brown leather accessories, and patterned bowtie. 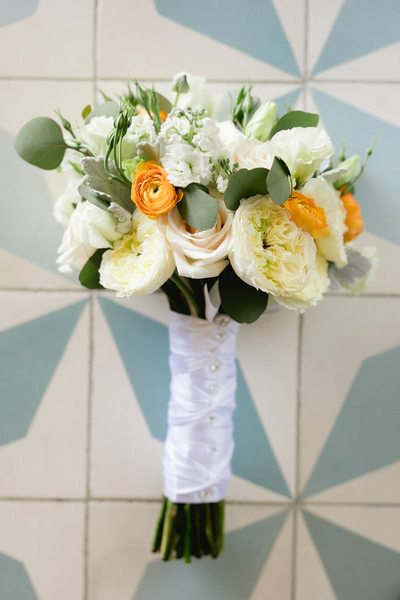 We love the pop of color with his white and yellow boutonnière! The portraits of the couple on the beach at sunset really capture their personalities and their love for each other. The full length shots of them walking along the tideline are natural and relaxed but our favorites are the sequence of closeups on the rocks - we love how intimate these images are, the gentleness with which the groom holds his bride's face, and the way the ocean wind is blowing her hair. 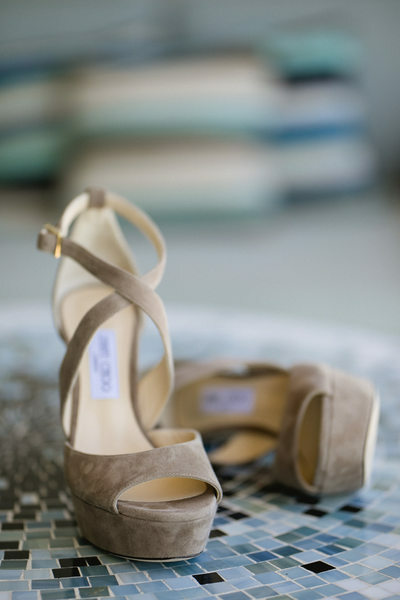 One of our favorite times of the day is prior to the ceremony when the bride is getting ready. 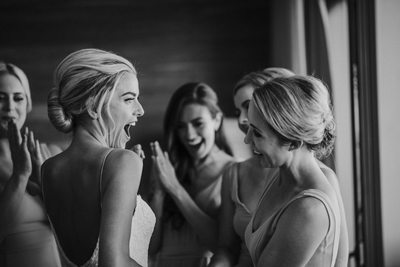 There is always so much excitement when the bride is putting on her wedding dress! From this wedding, we love the color images when the bride's mother is doing up her daughter's gown. You can feel the emotion of everyone reflected in the mirror, and see the deep blue ocean in the background. Capturing real moments in a way that also highlights the beauty of the location is is something we always strive for. From the lucite chairs and simple arch emphasizing the ocean at the ceremony to the deep blue linens with rustic wooden accents, we loved the decor and details designed by Karla Casillas & Co and The Main Event Cabo. The wedding design is really compliments the natural beauty of this Cabo location. We absolutely love that L+B also chose to incorporate a bit of Mexican charm into their wedding! The mariachi band right after the ceremony created a light-hearted vibe that truly kicked off the celebration. The sombrero-wearing musicians led the wedding guests up to the rooftop reception for tequila shots and photo opportunities with a fun Mexican donkey!